The first German Battlecruiser ? According to Conway’s all the world fighting ships 1906-1921 and many other sources, SMS Blücher is rated as an “armoured cruiser”. However, by the composition of her main artillery and inspiration before construction she was more like a transitional, hybrid ship, an armoured cruiser with battlecruiser features. She was however really the last German Armoured cruiser, following the famous Scharnhorst class. Before she was ordered, German intel about the Invincible gave wrong estimates on which the engineers drawn their first blueprints, which could not later being revised. So the end result was no match in size, armament and speed to true battlecruisers. The SMS Blücher was named after a great Prussian general of the Napoleonic era and co-winner at Waterloo. 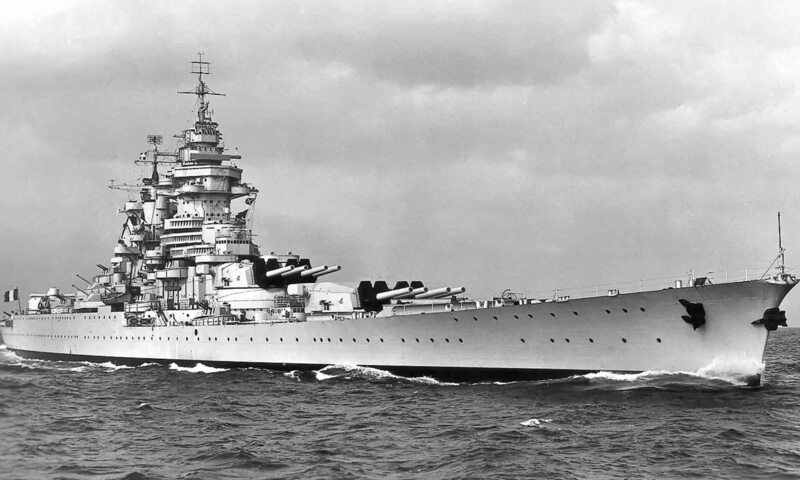 She was quickly indeed sometimes wrongly classified as a “battle cruiser” because of her monocaliber artillery. However contrary to the previous Scharnhorst class she had a rather light protection, and a main artillery distributed like the Nassau and Helgoland classes of battleships. She also had a relatively low speed, and therefore was considered at the same time an advanced armoured cruiser, but a prototype for a serie which never happened. Instead the Von Der Tann was built in 1908-1911, this time with correct intel and the right specs. Fighting at the Battle of Dogger Bank, SMS Blücher was fatally battered by a whole line of battlecruisers and sank after an heroic resistance allowing other Hipper’s fleet to escape. Despite her alledged light protection she proved extremely hard to sink. 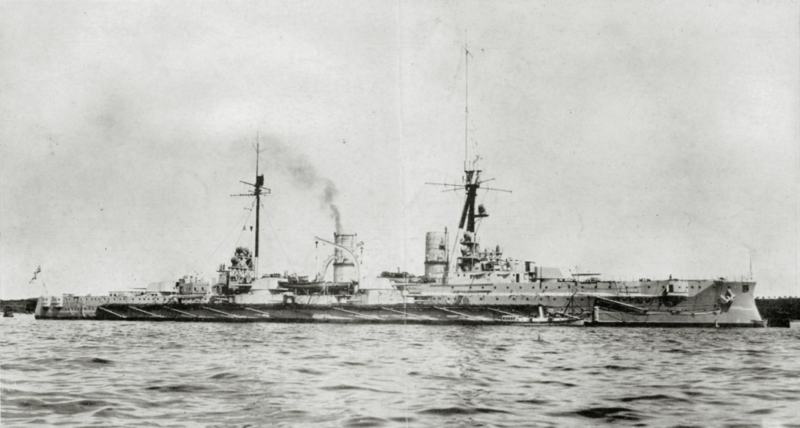 Previously all armoured cruisers since the Fürst Bismarck were Große Kreuzer (large cruisers) and took part in the reconnaissance force. The Scharnhorst-class ships however were a exception, designed to be used in a battleline alongside regular battleships. Emphasis was on protection. On 26 May 1906, the Reichstag authorized the construction of the Blücher as well as the first Nassau class battleships batch. 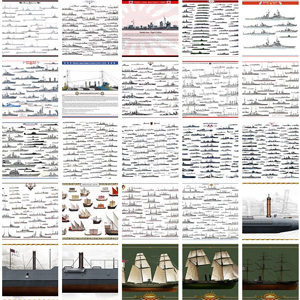 These ships had a lot in common, starting with their artillery. By then the official designation masked her true nature. Provisionally known as “E”, she was first drawn to match contemporary British armoured cruisers. 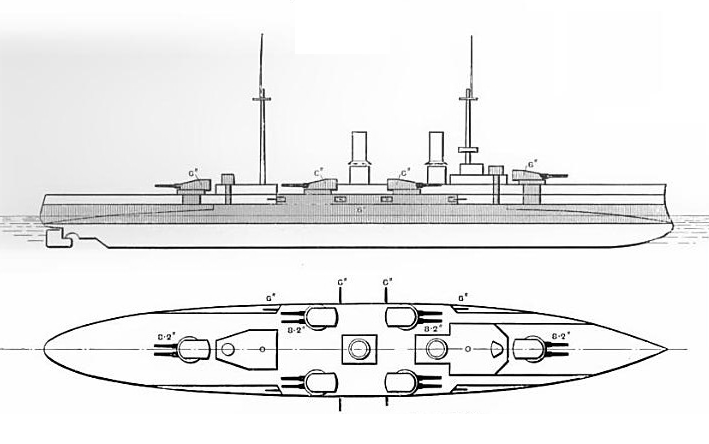 When the intel derliver a report of the building on the new Invincible class, it was expected ships equipped with six or eight 9.2 in (23 cm) guns. The appropriate response then seemed to be twelve 21 cm (8.3 in) guns in six twin turrets, the rate of fire and massed volleys compensating for the lower caliber and range. The previous Scharnhorst-class had eight guns, in two twin turrets fore and aft and in barbettes. This time all the guns were in turrets, with six in chase or retreat, and eight either side. However, just one week after orders were given to the Kaiserliche Werft at Kiel, the German naval attache obtained the definitive specifications of what seemed to be a new class of ship. 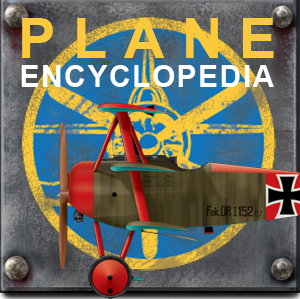 The design could not be completely revized however and construction proceeded, however a modified version of the blueprints would be use as a basis for the Von der Tann. Unfortunatey for the Germans, when the Blücher emerged as completed in October 1909, the British were already starting the construction of their second generation battlecruisers, and she was obsolete. Despite of this and due to her 28,532,000 Goldmarks price tag, she was deployed with the battlecruiser squadron. 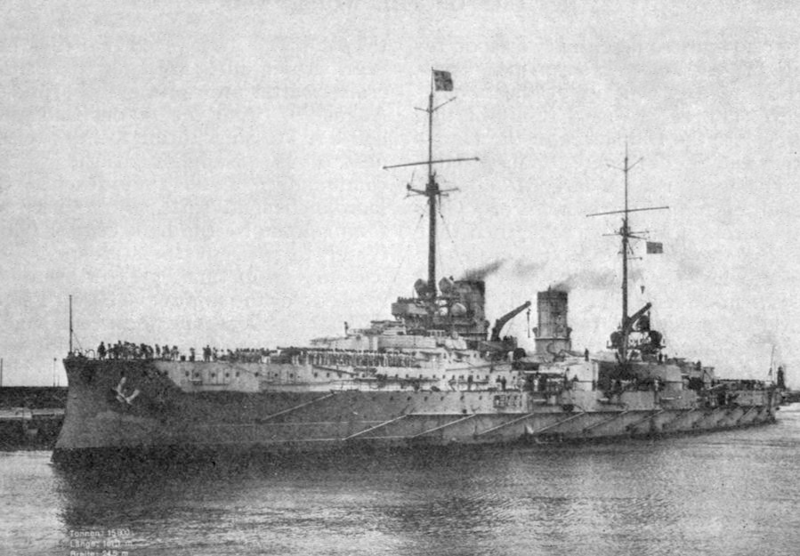 Compared to the Scharnhost, the new cruiser was 3000 tons heavier, 20m longer, and 3m wider. She still had a arm bow, a long forecastle on which was mounted her fore artillery turret, four twin turrets on both sides with recesses for forward and aft fire, and rear turret. Secondary armament was mounted in barbettes. The hull was constructued with both transverse and longitudinal steel frames, 13 watertight compartments and a double bottom running 2/3 of the hull’s lenght. She was not subjeted to pitch, but had a severe roll and with the rudder at 90% she heeled over up to 10°, loosing as much as 50%+ of her speed. The hull armour was made of Krupp cemented armor, with variable thickness between the most vital areas and the others. This was not an all-or-nothing scheme. 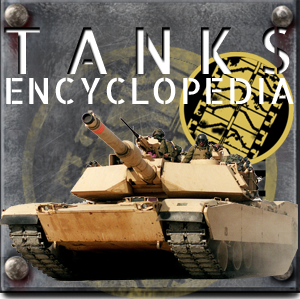 The armored deck thickness was 5–7 cm (2.0–2.8 in), armored belt 18 cm (7.1 in, central portion and down to 8 cm (3.1 in) elsewhere don to zero on both ends, with an additional 3 cm (1.2 in) of teak nehind and a 3.5 cm (1.4 in) torpedo bulkhead on the central section only between both side turrets. The CT (Conning Tower) was made of 25 cm (9.8 in) thick walls and 8 cm thick roof, while the the rear one had 14 cm (5.5 in) walls and 3 cm roof. The central citadel was 16 cm (6.3 in) thick and main turrets were had 18 cm sloped sides and 8cm roof while The 15 cm turret casemates were 14 cm thick. 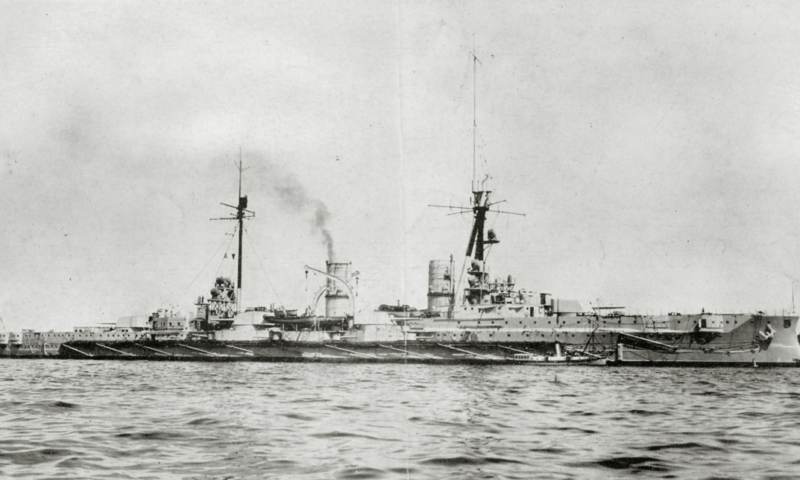 SMS Blücher received twelve 21 cm (8.27 in) SK L/45 quick-firing guns, six twin turrets placed forre and aft and in wings either side of the superstructure. Shells weighed 108 kg (238 lb) each and 1,020 (85 rounds per gun) were carried. The guns could be depressed to −5°, elevated to 30° with a top range of 19,100 m (20,900 yd) and rate of fire was 4–5 rpm. The secondary battery counted eight 15 cm (5.91 in) quick-firing guns inside C/06 casemates among which four centered amidships on either side. Range was 13,500 m (14,800 yd) with 1320 rounds total in store (165 shells per gun) 5–7 rpm at a muzzle velocity of 835 m (2,740 ft) per second. Tertiary artillery consisted of sixteen 8.8 cm (3.46 in) SK L/45 quick-firing guns in protected casemates (bridge, bow, and stern) and pivot mounts in the rear superstructure, acting also as AA guns, 3,200 rounds in store (200 shells per gun). Rate of fire was 15 rpm, 10 kg (22 lb) high explosive shells and maximum range 10,700 m (11,700 yd). Finally, for close and personal relationships Blücher had four 45 cm (18 in) torpedo tubes, placed in the bow, stern, and broadside below the waterline, with 11 torpedoes in store, each carrying a 110 kg (240 lb) warhead and had two speed settings 2,000 m (2,200 yd)at 32 knots or 1,500 m (1,600 yd) at 36 knots. With its larger size, the Blücher needed a more consequent raw power than the previous Scharnhost class. It consisted of three 4-cylinder vertical triple expansion engines fed 18 × marine-type boilers and actong on three shafts, with a total of 31,562 ihp (23,536 kW). On 1909 trials, this went as far 37,799 indicated horsepower (28,187 kW) with forced heat. This was enough to get the top speed to a mere 25.4 knots (47.0 km/h; 29.2 mph), below what battlecruisers were capable of. Her range was at best 6,600 nmi (12,200 km; 7,600 mi) at 12 knots (22 km/h; 14 mph) and 3,350 nmi (6,200 km; 3,860 mi) at force cruiser speed or 18 knots (33 km/h; 21 mph). Of the three screws one was larger than the others, for cruise at lower speeds. The Blücher carried 900 t (890 long tons) in peace time, but thanks to voids in the hull this could be expanded to 2,510 t (2,470 long tons). For electrical power six turbo-generators that provided 1,000 kilowatts (225 volts). 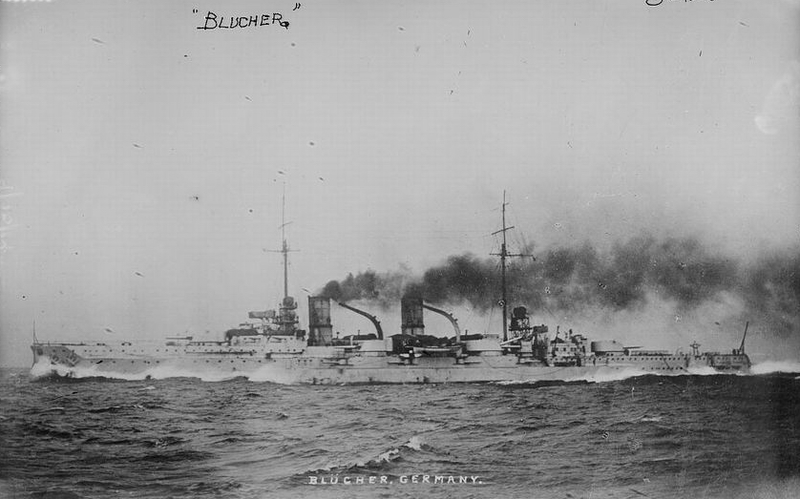 After being commissioned into the fleet on 1 October 1909, Blücher served as a training ship for naval gunners starting from 1911 and in 1914 was transferred to the I Scouting Group with Von der Tann, Moltke, and Seydlitz. Her first operation was an inconclusive sweep into the Baltic against Russian forces. Later on September she sailed with the IV Squadron (7 dreadnoughts, five cruisers, 24 destroyers) trying to draw out a the Russian fleet and search for a decisive victory. But the Russians refused to take the bait and withdrew to the Gulf of Finland. On 2 November 1914, the I scouting group left the Jade Bight and arrived off Great Yarmouth at daybreak, shelling the port, and SMS Stralsund laying a minefield. On the way back in a heavy fog over the Heligoland bight, SMS Yorck sank by error in a German minefield and sank. Under order of Admiral Friedrich von Ingenohl another raid was was decided on the English coast for luring a portion of the Grand Fleet out. At 03:20, 15 December 1914, SMS Blücher, Moltke, Von der Tann, Derfflinger, Seydlitz, and light cruisers Kolberg, Strassburg, Stralsund, Graudenz, winged by two squadrons of TBs left the Jade, sailed north past Heligoland, reached the Horns Reef lighthouse, and turned towards towards Scarborough. 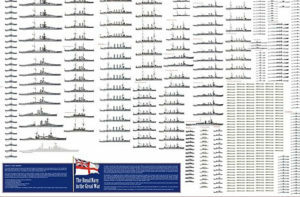 Twelve hours after, the High Seas Fleet departed in turn (14 dreadnoughts, eight pre-dreadnoughts, two armored cruisers, seven light cruisers, 54 TBs) sailed as a backup and trap force. However since August 1914 and the capture by the Russians of the SMS Magdeburg’s code books with German signals, plus intercepted messages, warned the Royal Navy. Therefore vice Admiral Beatty’s four battlecruisers and 3rd Cruiser Squadron plus 1st Light Cruiser Squadron and 2nd Battle Squadron’s six dreadnoughts as backup sortied to try to ambush Hipper’s battlecruisers. However during the night 15/16 December because of an encounter with British destroyers, Admiral Ingenohl decided to retreat but Hipper was unaware ofthis and proceeded, splitting into two groups, once including Blücher, bound to shell Hartlepool, and the other Scarborough and Whitby. Hartlepool replied with its coastal artillery, Seydlitz was hit three times and Blücher received six hits, suffering minimal damage but with nine killed and three wounded. They regrouped and retreated later, but only to be cut off by Beatty’s battlecruisers and at 12:25, one of the cruisers (2nd Light Cruiser Sqn) spotted the Stralsund and signaled it. However because of a misinterpreted signal the German light cruisers were allowed to escape and alerted Hipper whichturned northeast of the British forces and escaped. 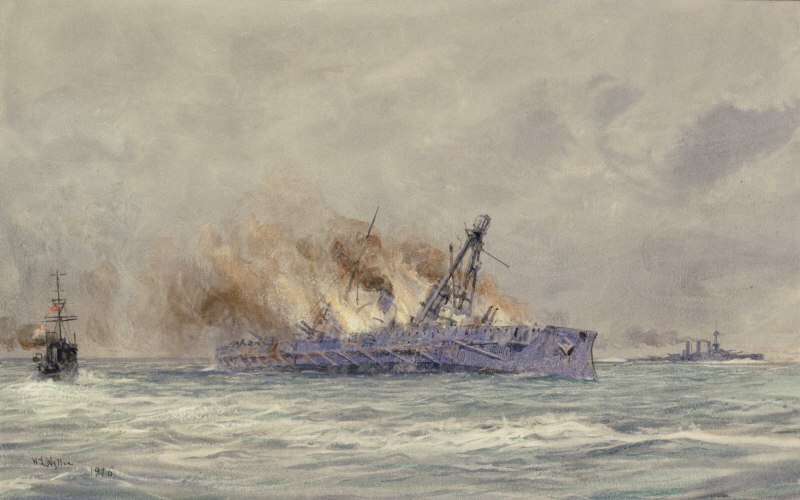 The Blücher would met her fate at the Battle of Dogger Bank, on January 1915: on 23 January, Hipper, knowing British ships were doing a recce mission around the Dogger Bank area sailed out with Seydlitz followed by Moltke, Derfflinger, and Blücher supported by light cruisers and 19 torpedo boats. However British cryptographers of Room 40 were soon able to locate the German operational area so the British massed an impressive force to try to catch them: Beatty’s 1st Battlecruiser Squadron, Rear Admiral Gordon Moore’s 2nd Battlecruiser Squadron, Commodore William Goodenough’s 2nd Light Cruiser Squadron and Commodore Reginald Tyrwhitt’s Harwich Force. At 08:14, Kolberg spotted the light Britsh cruiser Aurora (Harwich Force) and both duelled. Stralsund then joined the fray but the smoke betrayed Hippers position and british reinforcements rushed towards the position. Eventually both forces engaged and Hipper spotted the Blücher “… at the rear of the German line, which had opened fire on a light cruiser and several destroyers coming up from astern”. Hipper eventually turned south at 23 knots (43 km/h; 26 mph), Blücher’s maximum speed while the chasing British ships were abover 27 knots. Then HMS Lion opened fire on Blücher’s tail at 20,000 yards (18,000 m) and Princess Royal, Tiger later joined in. The last cruiser of the battle line was now under heavy fire. German ships however returned fire on HMS Lion, while Blücher scored a hit on Lion’s forward turret, the concussion effect being enough to disable the crew. Soon after HMS New Zealand also opened fire on Blücher and with the decreasing range, Hipper ordoned all his ships to open fire. However it was too late for the Blücher which after two hours had exchanged volleys and was now badly hit, listing to port. At 11:48, Indomitable was ordered by David Beatty to finish off the battered Blücher, which was now the subject of an inferno as coal in the emptied bunkers took fire. However Blücher was about to be left alone as Beatty received reports of U-boats in the nearby area, and manoeuvered to sail back. He however ordered his battlecruisers to open fire on the “tail” of the German line, therefore all British ships targeted the already batterred Blücher which would received about 70 large caliber hits. This did not prevented her to repluse several attacks, before being topedoed twice by HMS Aurora. Now all her guns has been silenced, and the British cruiser reloaded and launched another seven more torpedoes at point blank range. 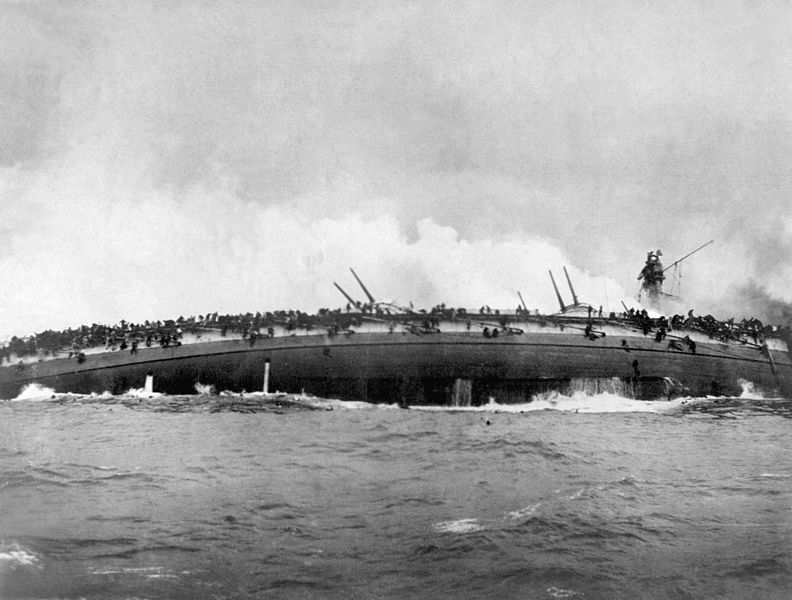 The german armoured cruiser eventually capsized and sank for good at 13:13. British destroyers steamed towards her in an attempt to rescue survivors, but were rebuffed by an attack of rogue Zeppelin L3, by error. In the end, only 6 officers and 275 enlisted men suvived. 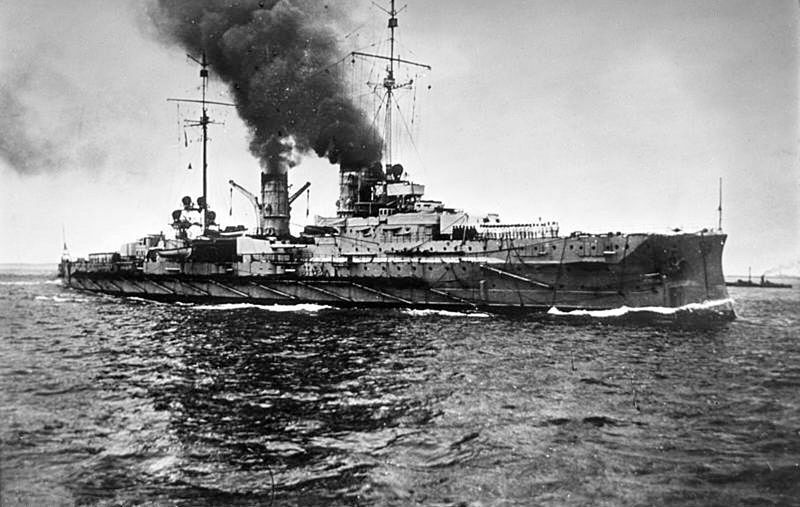 The sacrifice of the Blücher (despite an attempted last-ditch support by Hipper) allowed the battlecruisers Moltke, Seydlitz, and Derfflinger to escape back home. This loss angered the Kaiser that decided against other actions for the time being and sacked Rear Admiral Eckermann and admiral Ingenohl.